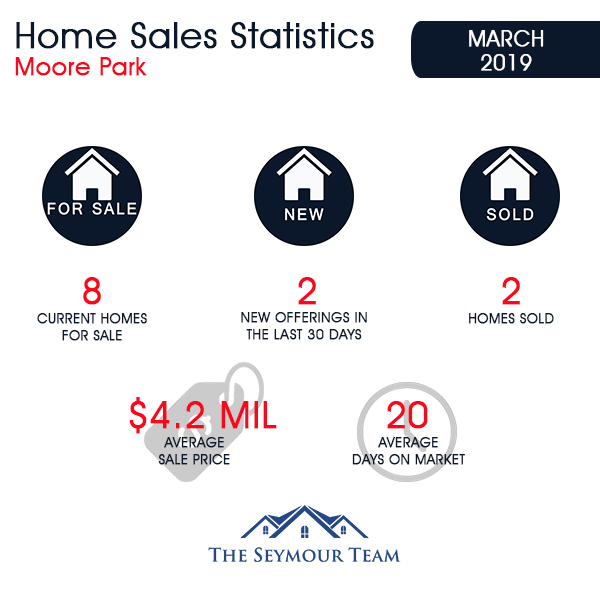 As of April 5, 2019, there are eight homes available in the Moore Park area, ranging in price from $1,618,000 for a semi-detached home on Moore Avenue (178 days on the market) to $4,275,000 for a detached home on Garfield Avenue (1 day on the market). Last month, two homes sold in Moore Park, both were detached homes. 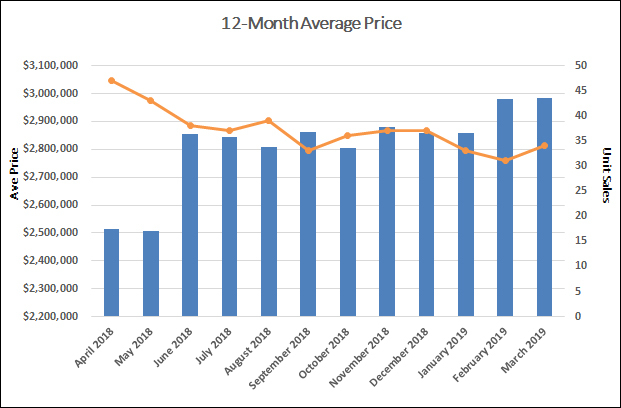 The average time to sell a home was 20 days. The home on Inglewood Drive sold two days after it was listed, while the other one on Rose Park Drive lasted 38 days. 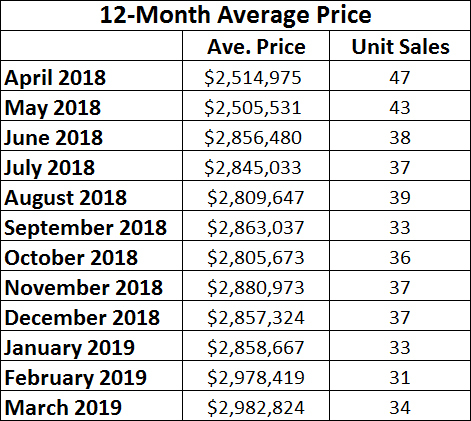 This doesn't include the two homes that have been listed for more than 30 days or the other two homes that were listed in the month of March and are not selling at their current listed prices. None of the March home sales sold at or above their listed price. Last month’s most valuable home sale was a detached 5-bedroom, 6-bathroom home on 37.41 x 144.25-foot lot with a right of way drive and garage on Rose Park Drive. It sold for $4,430,000, or 99% of the original listing price. It was followed by the Inglewood Drive home which sold for $3,850,000, or 99% of the asking price. Jethro Seymour is one of the Top Davisville Village Real Estate Brokers and a midtown Toronto residential specialist with over 20 years of sales experience in real estate, marketing, construction and publishing. He has helped many families find homes in Toronto’s great neighbourhoods, and has extensive knowledge of local markets, new home construction, resale home sales, and the condo market. Living in midtown Toronto, Jethro previews many of the homes that come to market for his clients and inventory knowledge. Jethro specializes in Moore Park, Davisville Village, Leaside and Midtown Toronto neighbourhoods.